“We cannot have a society in which a dictator in some place can start imposing censorship in the United States,” President Obama said. WASHINGTON — President Obama, citing Boston’s determination to move forward after the Marathon bombings, sharply criticized Sony for canceling the release of the satirical movie “The Interview” after a disruptive cyberattack that the FBI says was orchestrated by North Korea. Suggesting that Sony had overreacted, the president said the decision to pull the movie set a dangerous precedent and could damage free expression by allowing a foreign leader to determine what pieces of work Americans can view. Unlike Sony’s action in canceling its movie, he said, Boston decided to go ahead with its Marathon. Obama’s remarks came several hours after the FBI concluded that North Korea was responsible for a cyberattack on Sony Pictures Entertainment, which has exposed internal e-mails and led the company to cancel the release of its comedy about a plot to assassinate North Korean leader Kim Jong Un. At a time when his power to make dramatic policy changes in Congress is diminished, Obama inserted himself into a controversy that straddles issues of geopolitics, culture, and freedom of expression. The next steps regarding North Korea, however, were left unclear. “I think it says something about North Korea that it decided to mount an all-out attack about a satirical movie starring Seth Rogen,” Obama said, referring to one of the film’s stars. 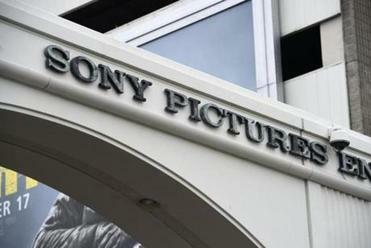 Sony chief executive Michael Lynton tried to distance the company from the decision not to show the movie, saying it was theaters that were choosing not to show the film after threats that they could be attacked. Lynton disputed Obama’s contention that Sony hadn’t been in communication, saying they had been in close touch with senior Obama administration officials. In the movie, a talk show host played by James Franco and his producer, played by Rogen, get an interview with the North Korean president, who is a secret fan of their show. The CIA then recruits them to turn their trip to Pyongyang into an assassination mission. During his final news conference of a year where his party lost the Senate majority, Obama defended his policies on health care, the economy, and foreign policy. The president also made history by calling on eight reporters during the hourlong press conference, all of them women. He displayed a easygoing style, joking and smiling in the hours before he left for a two-week vacation with his family in Hawaii. It was the first time Obama held a press conference since the day after his party was pummeled in the midterm elections six weeks ago. Since then, he has signed several executive actions on immigration, began restoring diplomatic relations with Cuba, and settled a far-reaching climate agreement with China. But the president has struggled to find a way to work with the Republican leaders who in January will control both the House and the Senate. He has also been criticized by some populist Democrats such as Senator Elizabeth Warren, who have said the White House is too tied to Wall Street. Obama said the economy is improving. Some 321,000 jobs were added in November and the Dow Jones industrial average surged more than 500 points this week. Obama said on Friday that the federal bailout of the automobile industry was officially over, with the final loans having been repaid. 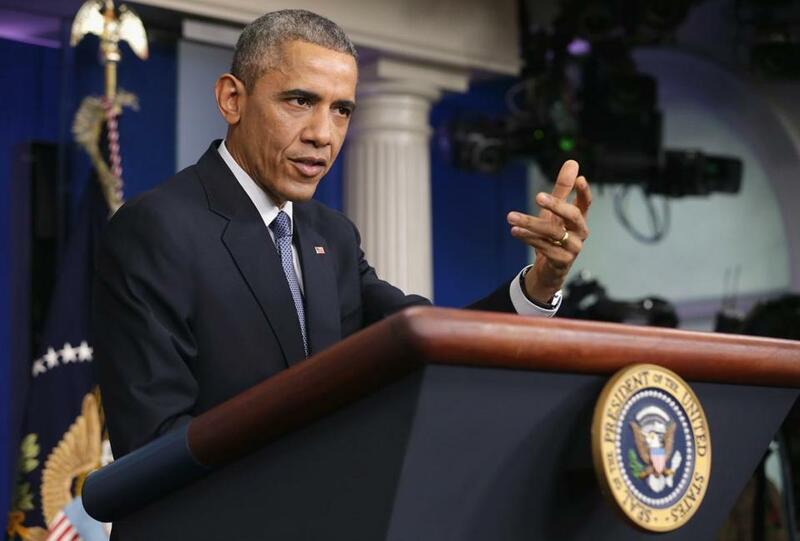 “Pick any metric that you want, America’s resurgence is real,” Obama said. Obama disclosed details of his discussion Tuesday with President Raul Castro of Cuba, the day before he announced he was normalizing relations with the island nation. In the first time the nation’s two leaders held official discussions since the Cuban revolution in 1959, they swapped jokes about one another’s long-windedness. The press conference comes in a year during which Obama saw his approval ratings sink to the lowest of his presidency. Forty-three percent of Americans approve of the job he is doing, according to the latest weekly average from Gallup. The only second-term president who had a lower approval rating at this point since 1950 was George W. Bush.